Yes, I'm still in my "zucchini" obsession right now. And that's just the way it goes. I had a dish similar to this last weekend in New York, and I've had it on my mind ever since. 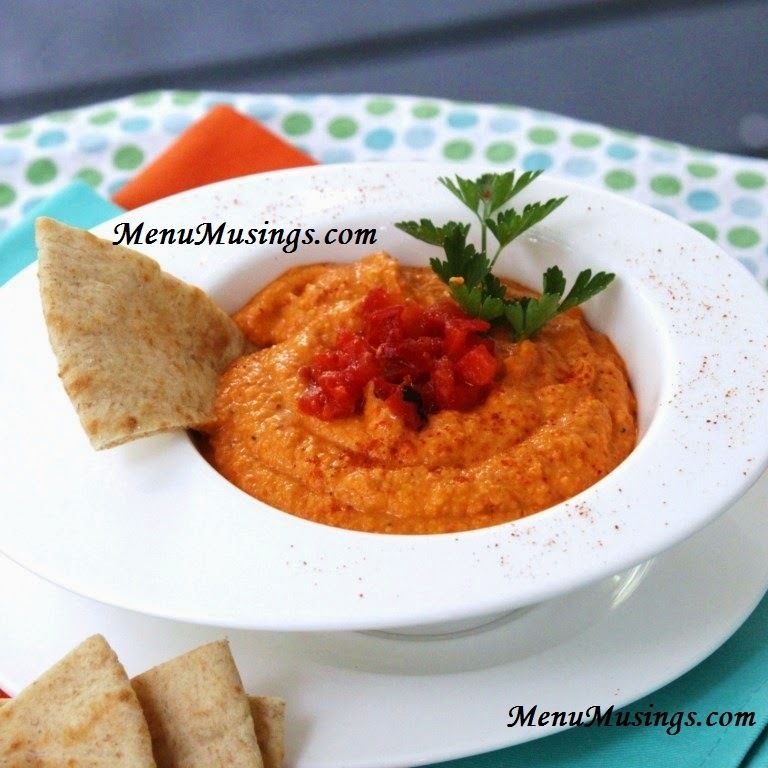 It's super easy and makes a great side dish to your meal. 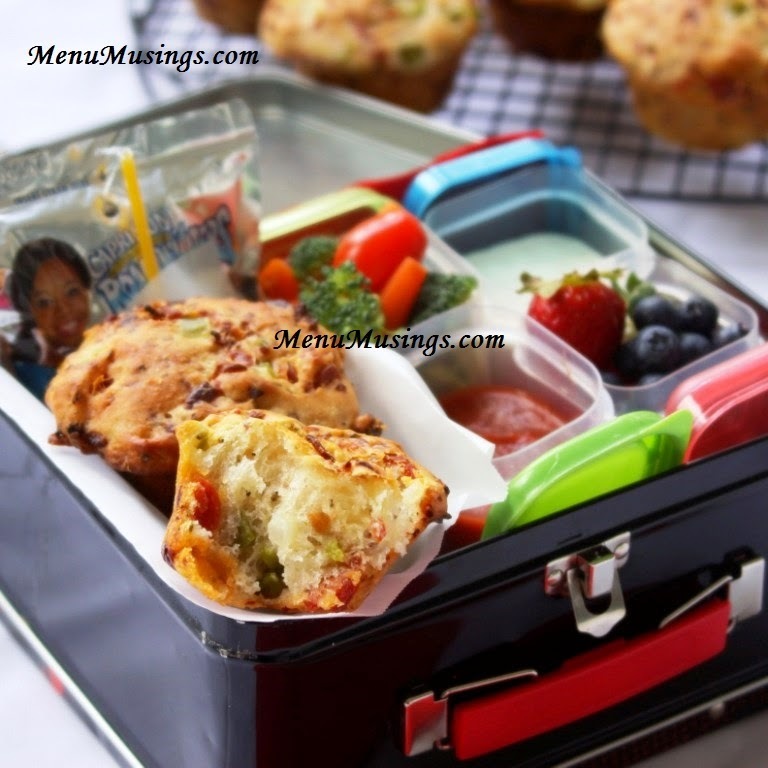 Aren't we always looking for more creative ways to get more veggies into our families? Wash and thinly slice the squash. 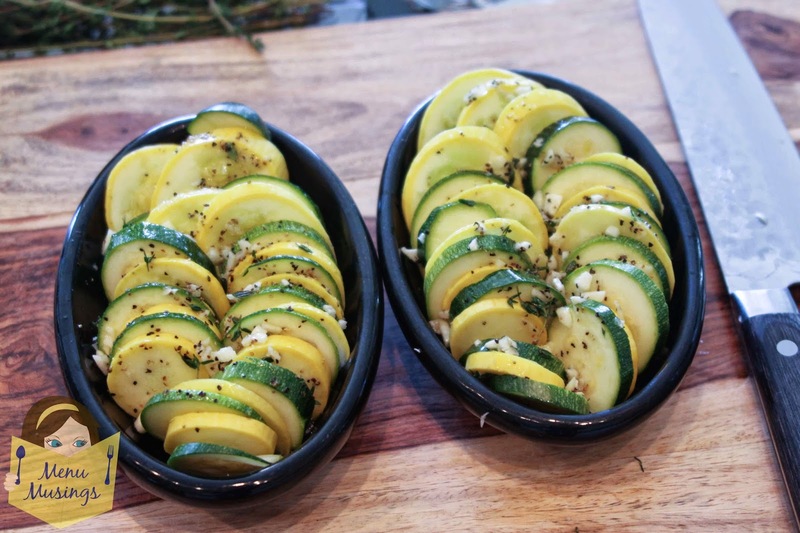 Arrange the zucchini as you desire in a baking dish. Combine well the oil, salt, pepper, garlic, and thyme in a small bowl. 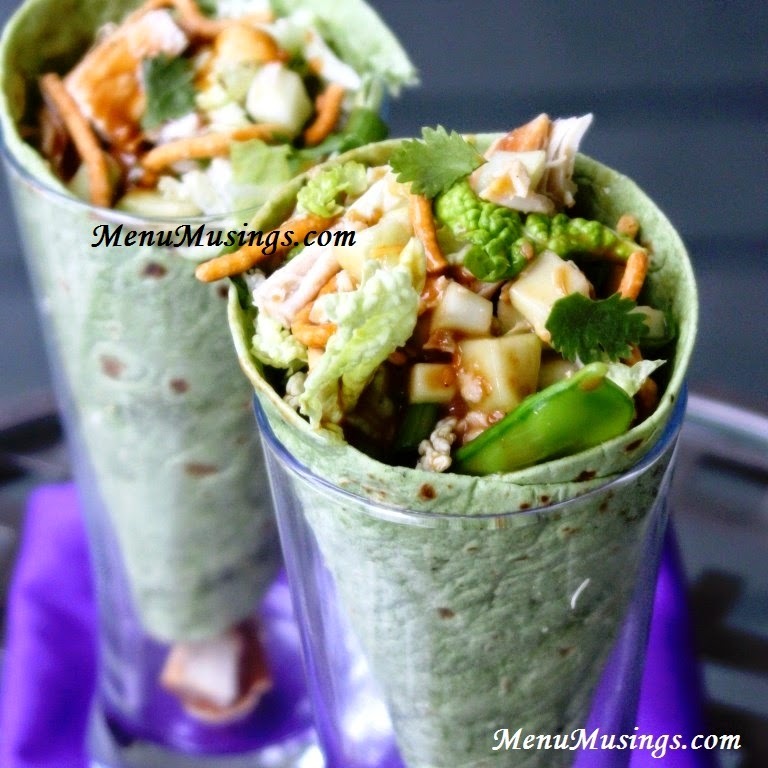 Pour this "dressing" over the zucchini and work it down a little in between the slices. 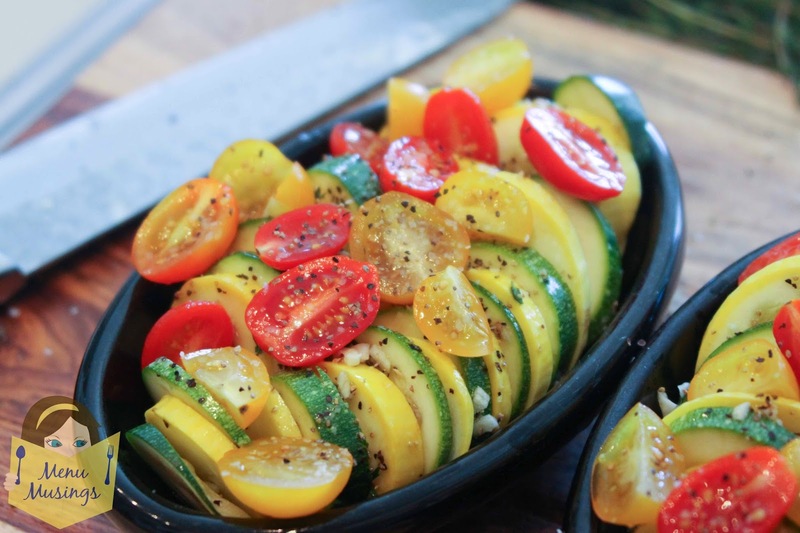 Chop the tomatoes and distribute evenly over the zucchini. Spread the topping over the vegetables. *You may not feel the need to use it all. Bake uncovered at 450 degrees F for around 10 minutes, then cover and turn down to 350 degrees for another 25 minutes. If you can.... let it sit for about 10 minutes before serving. I couldn't quite wait that long before digging in. 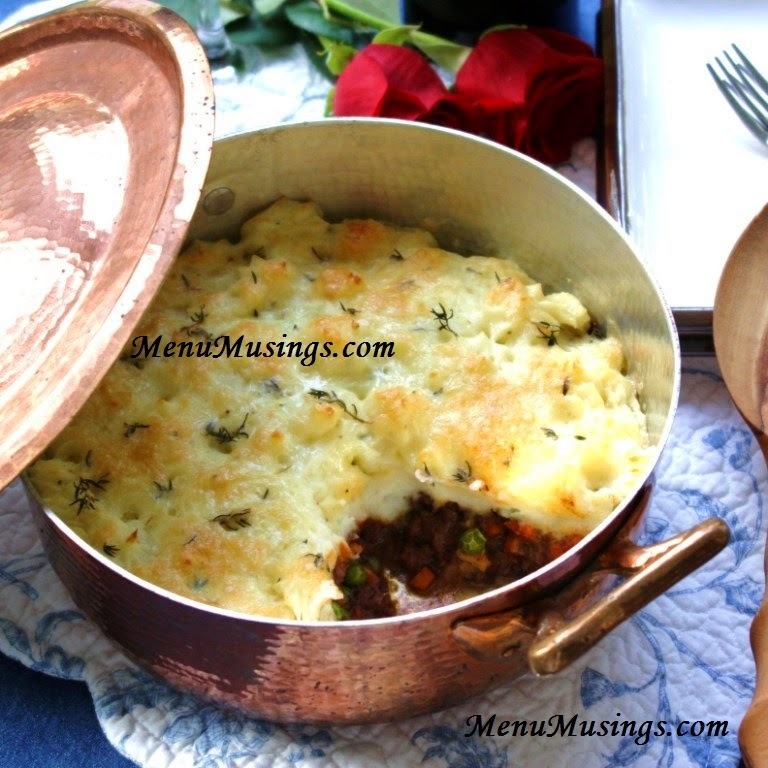 Yummmmm......... golden brown topping, soft and delicate vegetables, a little sweetness from the tomatoes. It's a good bite! 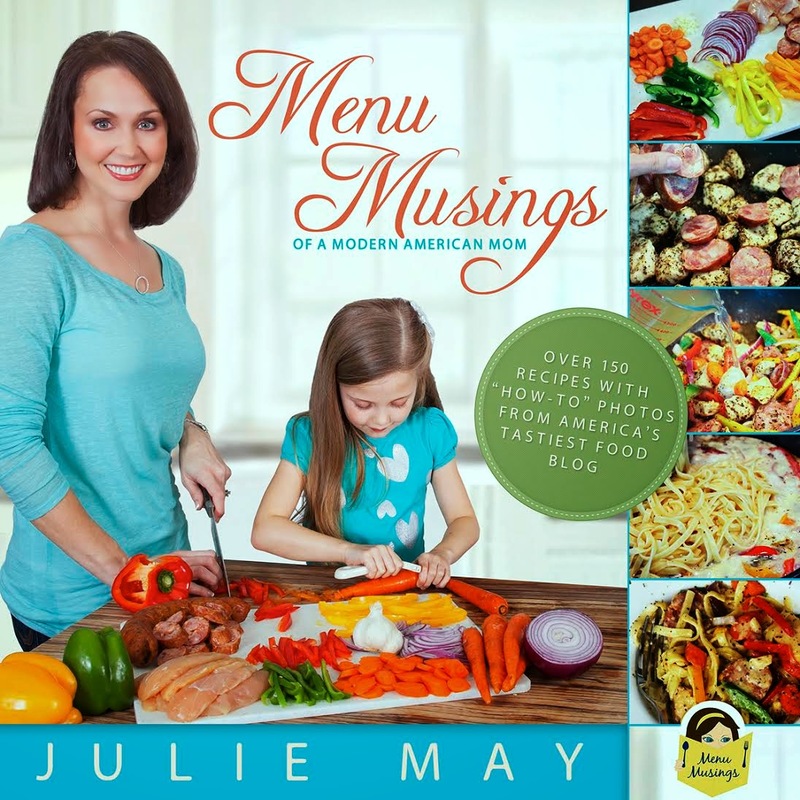 Order a signed copy of the Menu Musings Cookbook! Here's just one delicious example - Sesame Shrimp and Asparagus Stir Fry. Yum! 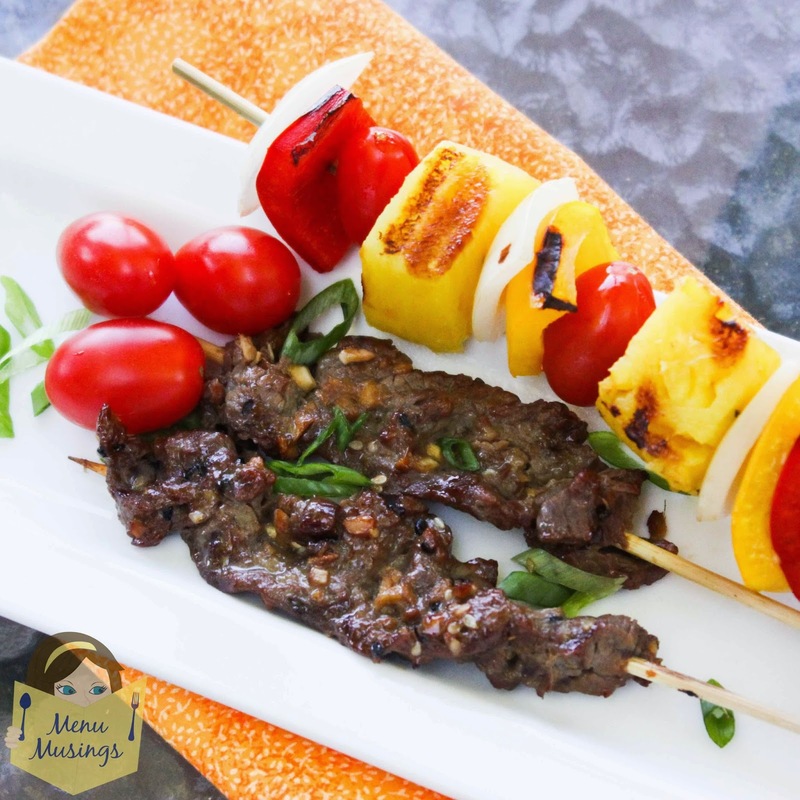 Here are some bonus recipes for you! Gratin is a widespread culinary technique in food preparation in which an Gratin originated in French cuisine and is usually prepared in a shallow dish of some kind. 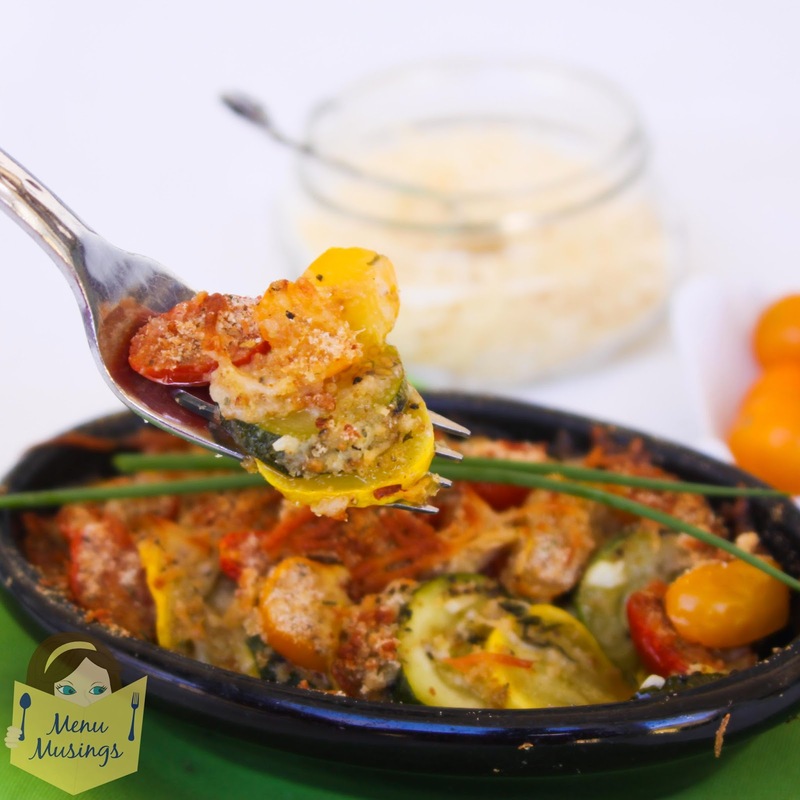 A gratin is baked or cooked under a broiler to form a golden crust on top and is traditionally served in its baking dish. 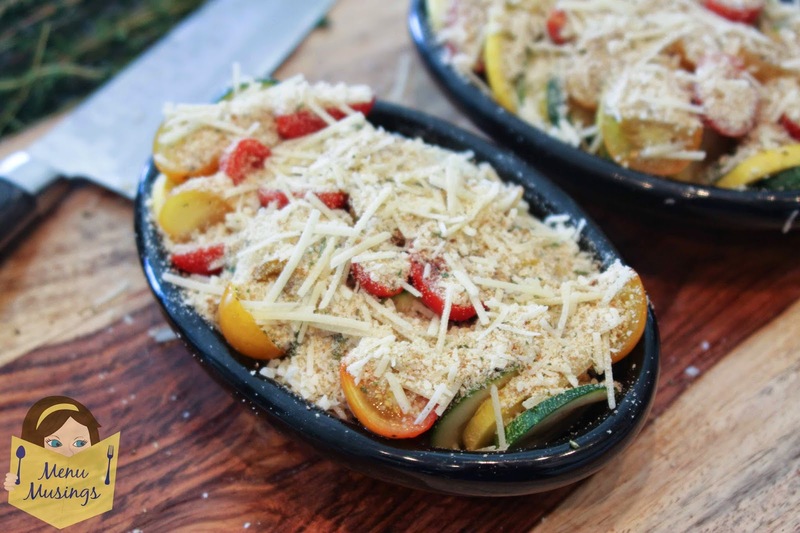 ingredient is topped with a browned crust, often using breadcrumbs, grated cheese, egg and/or butter. 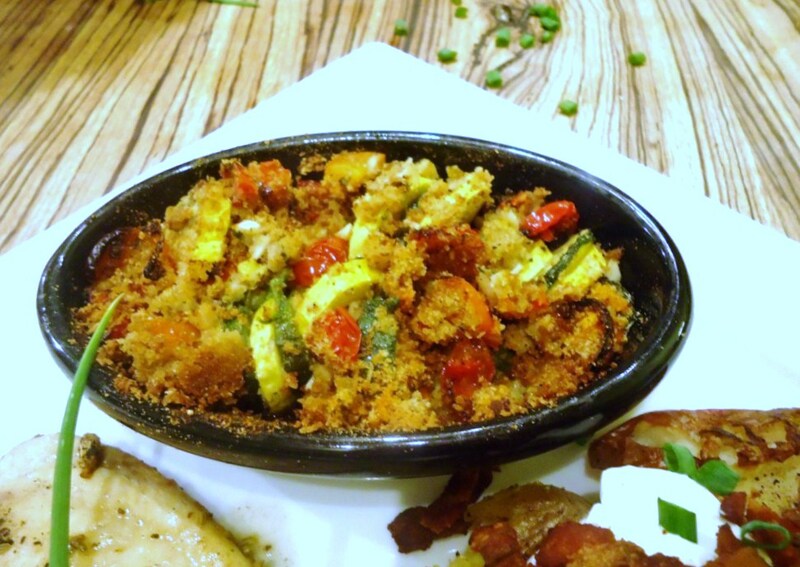 A gratin dish refers to the shallow oven-proof container traditionally used to prepare gratins and similar dishes. 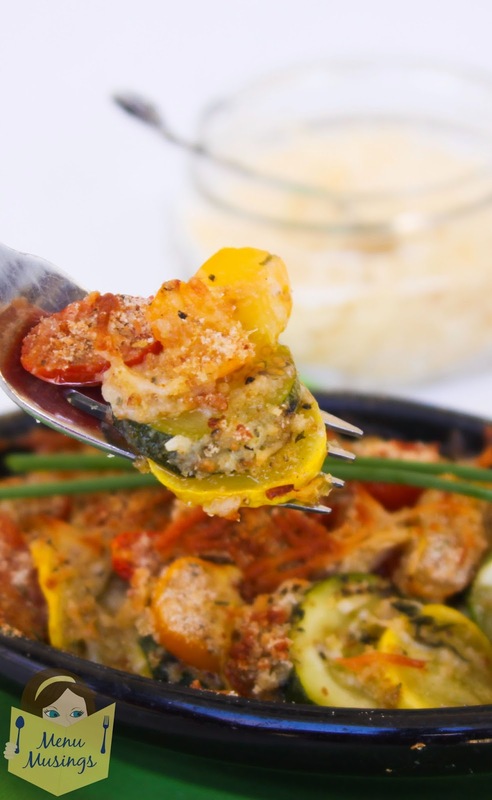 The etymology of gratin is from the French language in which the word gratter meaning "to scrape" as of the "scrapings" of bread or cheese, and gratiné, from the transitive verb form of the word for crust or skin. The technique predates the current name which did not appear in English until 1846. 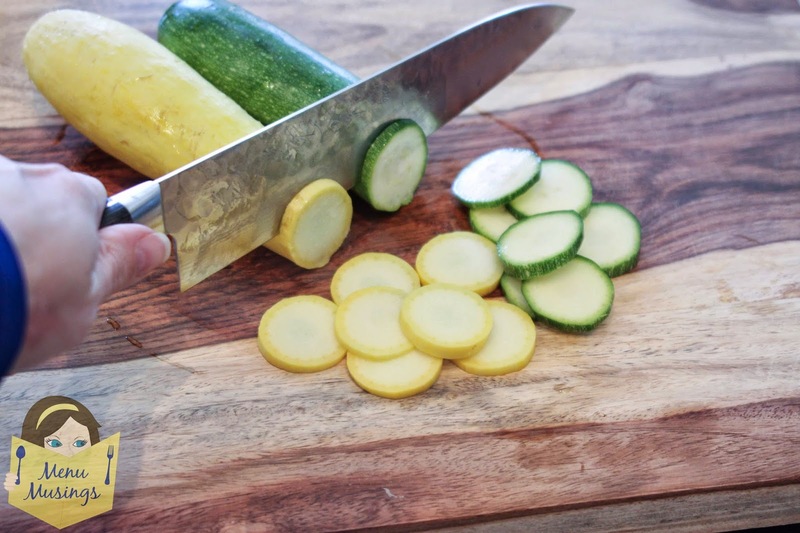 Wash and thinly slice the squash. 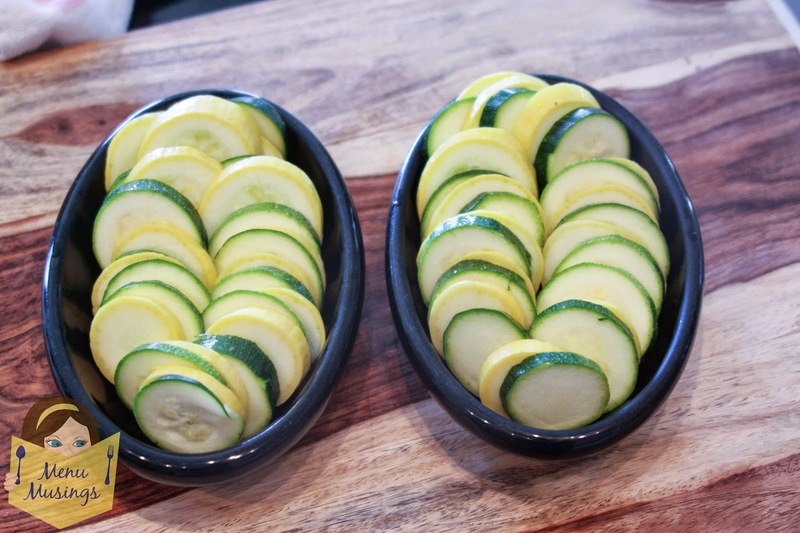 Arrange the zucchini as you desire in a baking dish. 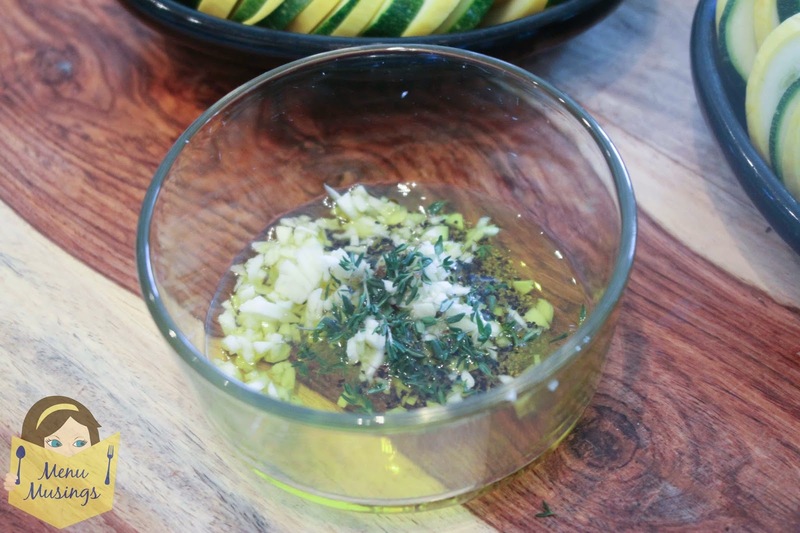 Combine well the oil, salt, pepper, garlic, and thyme in a small bowl. 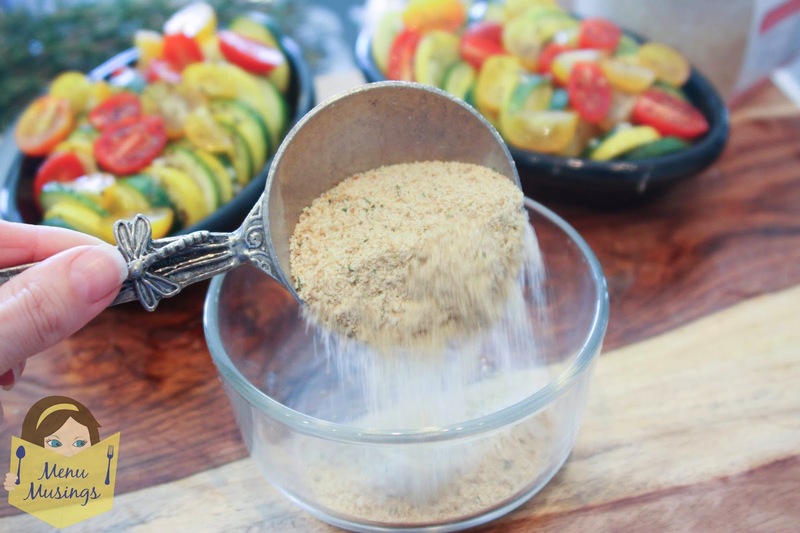 Pour this "dressing" over the zucchini and work it down a little in between the slices. 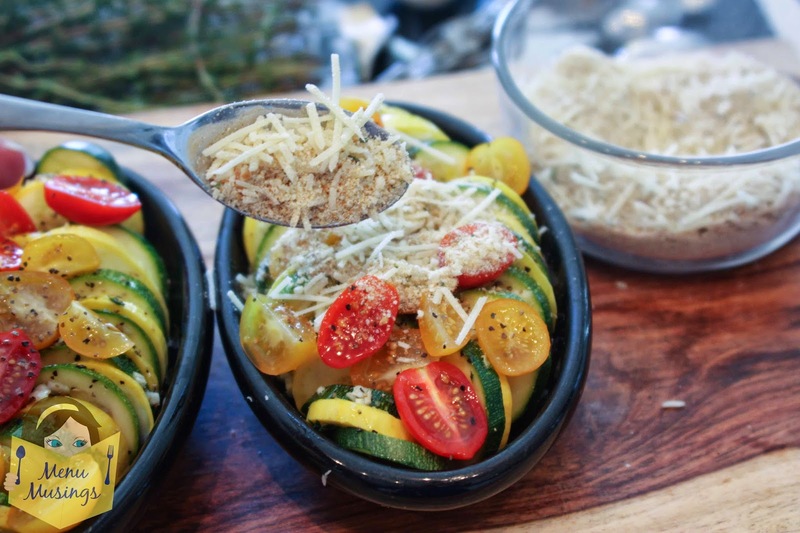 Chop the tomatoes and distribute evenly over the zucchini. 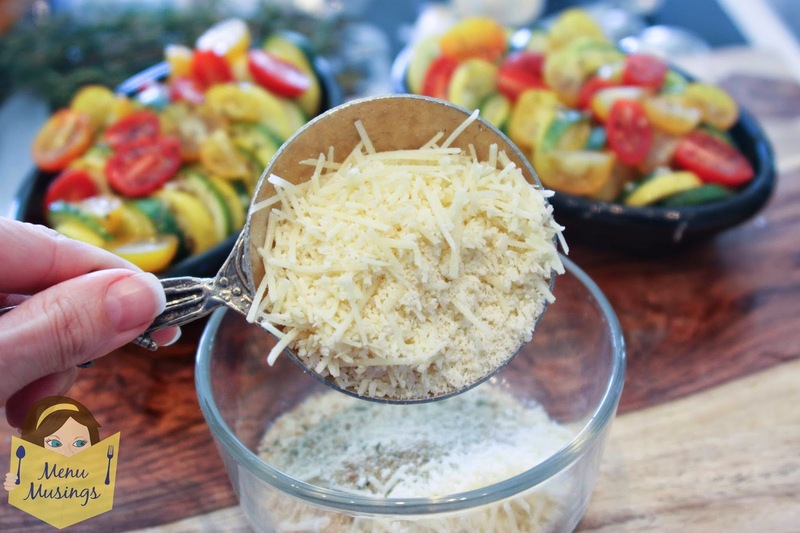 In another bowl, mix the cheese and breadcrumbs for the topping. Spread the topping over the vegetables. Bake uncovered at 450 degrees F for around 10 min, then cover and turn down to 350 for 25minutes. If you can.... let it sit for about 10 minutes before serving. I couldn't quite wait that long before digging in. 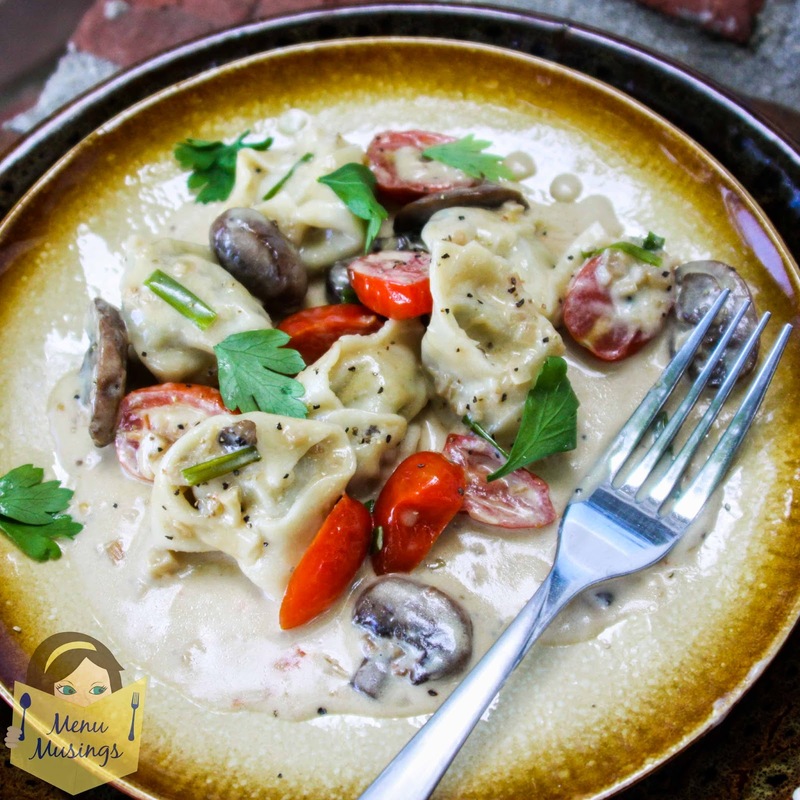 Can't wait to try this with our summer zucchini from our CSA...my kids are going to love it! I made this on a friday night for my husband and friends. It was a huge hit! So i'm making two for Easter! 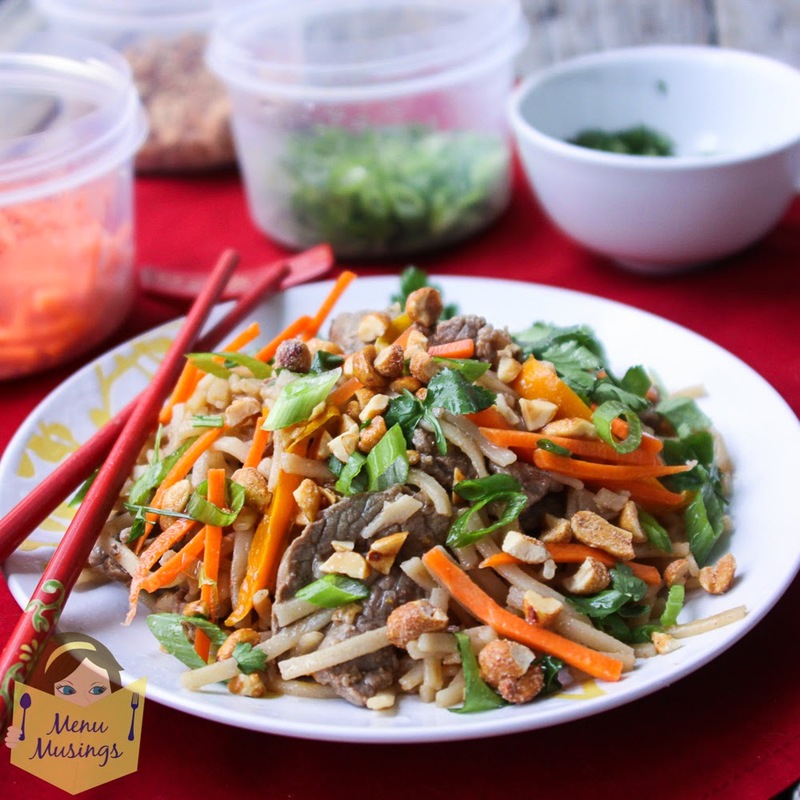 Thanks much for nice hearty but healthy recipe!